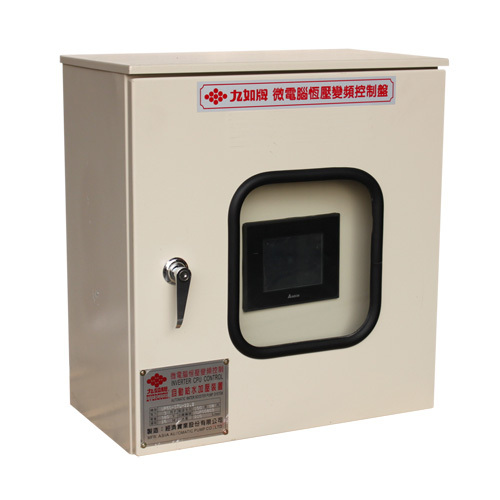 1.We can custom made control panel with different schemes for different environment. 2.It will save motor electricity consumption depend on how much water you are using. 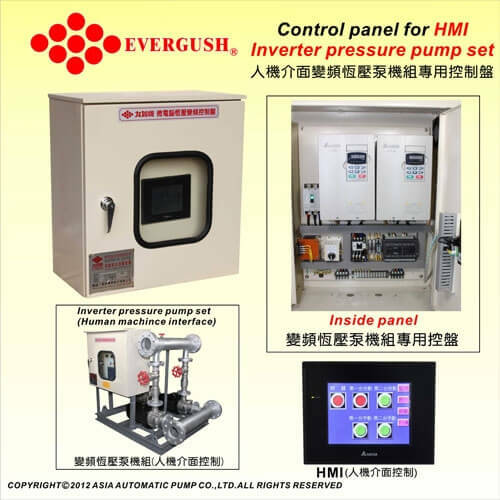 3.With PLC function, we can adjust pump operation by different pressure、capacity and temperature. 4.With build in PID function, we can increase system stability. and monitor interface according to our demands. 6.Provides RS485 communication interface.Output signal0~10V or 4~20mA.Continuously variable controller. 7.Intellectual PID calculation and programmable logic controller(PLC). 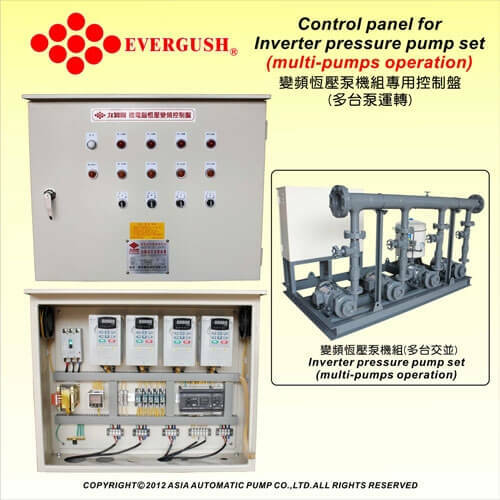 1.Inverter control pumps can be used for water supply systems and reservoirs for multi-storey buildings which can avoid water hammer effect. 3.Inverter control pumps can be used for motel、SPA、hostel and school. 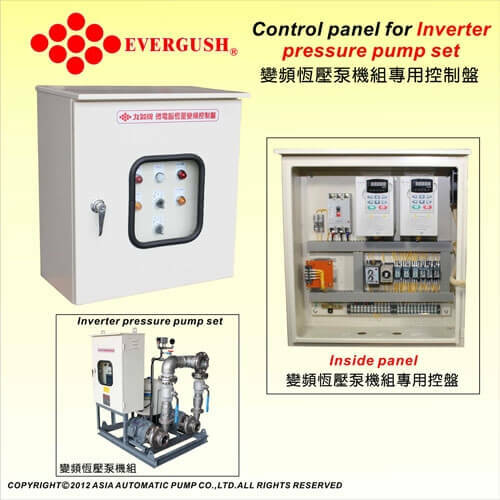 4.Inverter control vertical inline pump can be used for motel、 hostel and household. 5.It can be used for simplex or duplex inverter booster systems. 2.Operation: Simplex; Duplex ; Quadruple. 7.Inverter conforms to UL and CE certificates.